So why isn’t he in the Hall of Fame? Well, some might say the offensive power he displayed at first base doesn’t really match up with the lumber jacks of todays typical player associated with the Hall of Fame: 162 home runs, 1071 RBIs, 426 doubles and a .436 SLG. Hernandez never hit more than 18 home runs in any given season over his 17 year career. Ok, so let’s start with the single biggest hitting stat that has the largest influence on winning baseball games, on base percentage (OBP). Hernandez finished in the top three of his league a whopping seven times in eight years. He batted over .300 seven times, finished with an .820 OPS (on base plus slugging) and a 57.1 WAR. To put it into perspective, that’s a better [WAR] than at least 12 other first baseman elected to the Hall of Fame. Oh, and his 162 home runs, well that’s almost twice as many as first-ballot, first baseman, Hall of Famer Rod Carew. Here are some more numbers to ponder. Within a 10-year span, ’78 – ’87 (by which the “official” rule states is the minimal requirement for eligibility to the Hall of Fame), Hernandez won an MVP Award, 10 straight Gold Gloves, two Silver Sluggers and went to five All-Star games. He finished seven times in the top 10 in doubles. Four times he finished within the top five in runs scored. Hernandez finished four times within the top seven in walks. He was seven times in the top seven in OPS. Hernandez landed five times in the top 10 in runs created. Seven times, Hernandez finished in the top three in times on base. He was in the top 10 in games played a total of six times. To top it off, Hernandez finished third all-time in assists at first base with 1,682. Hernandez revolutionized the first base position, finishing in the top three in assists — 12 straight years. Let’s face it- teams were afraid to bunt with Hernandez at the corner. The father of Sabermetrics, Bill James, even devised a stat using Hernandez to separate first baseman in assists from all other positional players. According to Brian Kenny, of MLB Network’s Club House Confidential, “Bill James found that first baseman could separate themselves by making assists at all bases other than first. James found that Hernandez was making 20-30 more outs per season than the average team. 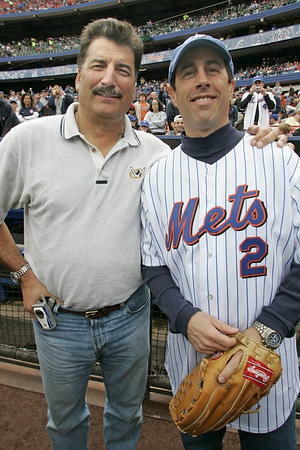 James even named it, The Keith Hernandez Breakthrough“. The mere fact that Bill James had to develop a stat due to Hernandez’s dominant play at first base, has to be worth some recognition as a Hall of Famer. Heck, he almost had Jerry Seinfeld helping him move! So what about championships and respect? Hernandez won two World Series in his career, one with the ’82 Cardinals and one with the ’86 Mets. He was a top player on both teams, three years each, six times in his career. 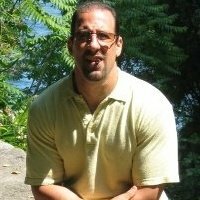 In Kostya Kennedy’s SI.com post on January 22, 2009, Kennedy went on to write, “Hernandez transformed the Mets in the 80’s, after that team broke up, four players, Darling, Ojeda, McDowell and Cone — wore Hernandez’s uniform number (17) to honor him”. What some people [voting writers] have seem to have forgotten, is that there were other infielders with distinguished defensive reputations, like Ozzie Smith and Bill Mazeroski, to name a few, that hit for little power, but were still elected to the Hall of Fame based on their defensive prowess. While Hernandez was not Babe Ruth, he definitely held his own with the bat. But few first basemen in the history of the game could match his glove. 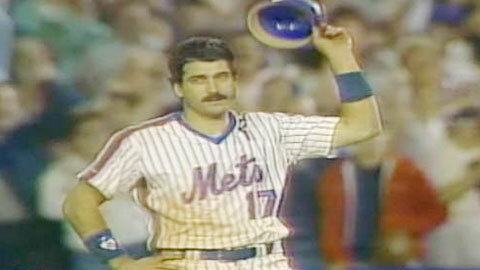 Could Keith Hernandez be the first great defensive first baseman to go on and be elected to the Hall of Fame? Unfortunately, his biggest obstacle may be the list of top offensive Hall of Fame worthy first baseman that have yet to be elected ahead of him. Hernandez will eventually have his chance again, through the The Expansion Era ballot of the Veterans Committee. 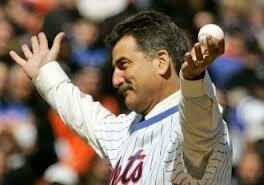 Hopefully they will get it right one day and Keith Hernandez will get his plaque finally in Cooperstown. Posted on October 8, 2012, in The Rest: Everything Baseball and tagged baseball, Bill James, cooperstown, david cone, first base, gold glove, hall of fame, jerry seinfeld, keith hernandez, mlb, new york mets, ozzie smith, rod carew, ron darling, st louis cardinals. Bookmark the permalink. 4 Comments. First of all, anyone that uses the phrase “arguably the best defensive first baseman” must never had seen Keith play. 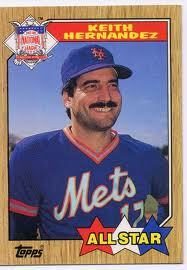 Keith Hernandez was the best defensive first baseman ever to play the game. No one could turn a 363 double play or defend a bunt like him. His range to the hole and quickness to the line were incredible; his arm was accurate and strong . As Tim Mc Carver once said after one of Keith’s amazing plays “if you want get on base, don’t hit it anywhere near that man”. Offensive numbers can be deceiving. Although, I think Hernandez’s numbers warrant hall of fame induction on their own merit, there is more to it than that. Clutch hitting! Total career RBI’s doesn’t reflect a players mettle as much as when he got the RBI’s. I’ll give one example of many through out Hernandez career. Top of the 9th Chicago vs NY at Wrigley field, 2 out Mets down by 1, men on 2nd and third. Hall of Famer Lee Smith is brought in to face Hernandez. Smith is throwing smoke at Hernandez. Keith swings late on 2 fastballs and hits 2 hard line drives foul to opposite field that miss chalk line by inches. Hernandez makes his adjustment and turns on the next fastball pulling it down the line to right hitting the chalk line for a double. This is not an isolated incident. Time after time Hernandez could be counted on to perform when the pressure was on. That’s what makes him a Hall of Famer! it’s a crime that the greatest defensive first baseman in history isn’t in the HOF! excellent article. Remember when “Game Winning RBIs” were a new stat (1980-1988)? Keith has the most career GWRBIs (129) and most in a season (24-1985). And looking at that 1985 season – Keith had 91 RBIs total. He was clutch – period. I watched him play for the Mets growing up in the ’80s and believe that he was the BEST defensive player on the team, and the most dangerous hitter on the team. He was a slap hitter who went with pitches, and had a knack for driving long doubles (he wasn’t exactly fast either). I think he should be in the Hall. Period.